My father, Thomas B. Allen, was just on the PBS National Geographic Special The National Mall — America’s Front Yard. 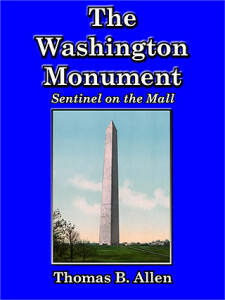 One of the things he talked about was The Washington Monument. In fact, he wrote the book on it, and here it is. Later, when I can catch my breath, we’ll get the book onto other platforms and almost certainly do a print edition. For now, though, it’s available on the Kindle store — and has been for a whole twelve hours!